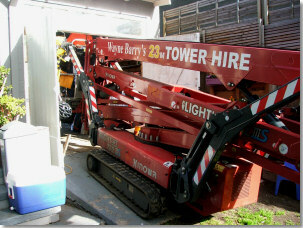 Need tower hire for your next job or project? 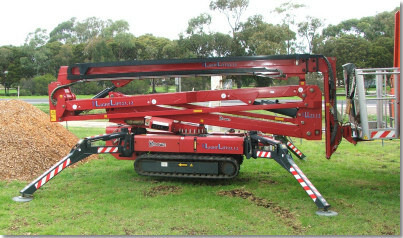 At Wayne Barry's Tree Services we can supply a modern 23 metre tower and our towers come with a fully qualified, experienced operator so you can focus on the job that needs doing. Our towers are track mounted and travel with a very narrow footprint, meaning they can easily access back yards through garages and sheds and can fit through standard sized gateways. With 360 degree rotation, 23 metre height capability and 12 metre reach our towers can provide access in just about any situation. Contact us today to find out how we can take care of your tower hire needs.